Wood is an abundant natural resource that comes from the fibrous tissue in many trees. It is an organic material that supports plants and allows them to grow bigger and stand for themselves. Wood has been around for hundreds of years, and since antiquity, it has served humans several purposes, such as in the production of building materials, furniture, paper, fuel, and a lot more. The earth has a trillion tons of wood growing at a rate of ten billion tons per year, and this material has gained the interest of governments for becoming a source of renewable energy. People started using wood as a material for windows many centuries ago when the need to ventilate homes arose. Since this material was plentiful in the surroundings, it could easily be harvested using cutting tools and shaped into desired forms. Then people became more sophisticated and began creating decorations on the surface of the wooden windows, enhancing their appearance and bestowing a cozier feel in the home. Now, wood windows with elaborate designs can be seen in books showcasing Roman, Corinthian, and Medieval art and architecture. Wood has a couple of advantages as a material for wooden replacement windows. It has a superb thermal resistance that equals that of vinyl or fiberglass, and it is variably durable depending on the treatment used. Wood adds an ancient, rustic look to a window, which is particularly perfect for homes with wooden parquet and wood theme. It can also be wrought very easily using simple tools, and can take different forms from basic shapes to complicated ones, which is why it is a popular material for carving. Wood, when treated with water-resistant solutions, can also withstand the elements that it is most vulnerable to. The advantage of wood as a material for wooden replacement windows is not only for the beauty it brings, but also for the different configurations it can be forged into. Compared with other window materials, wooden replacement windows require high maintenance because it is susceptible to dirt, dust, termites, and other elements. It can also be a little expensive depending on its type, and the cost may rank equal to steel and fiberglass. Recyclability is also low, and the foremost disadvantage in using wood in wooden replacement windows is that it shrinks and swells as reaction to humidity and water. However, modern technologies have combined wood material with others that have elemental resistance in order to produce more quality wood. For example, glass fortified wood is mixed with non-toxic sodium silicate to increase its strength and hardness, while wood plastic composite is reinforced wood with plastic fillers or composites. For those fixated in wooden replacement windows, there are ways on how to make this material last longer. It can be treated with wood preservatives like copper compounds, borate, sodium silicate, potassium silicate, and others. These preservatives can be oil-borne, water-borne, or light organic solvents, but because of their toxic qualities and offensive odor, they are not well used in consumer products. Wood production is generally widespread, but a bigger concentration of wood plantations can be found in the US, Canada, Brazil, Italy and Portugal. See How Much You Can Save On Wood Windows Today! 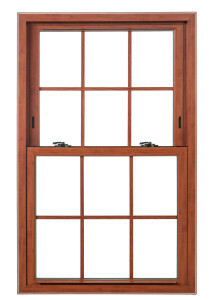 Prices of wooden window products differ according to type, color, size, and features. Thus, it is necessary to compare the prices of various wood window brands and to put products side by side in order to see the pros and cons. Therefore, the price of the end product you will get is dependent on your careful selection and inspection.